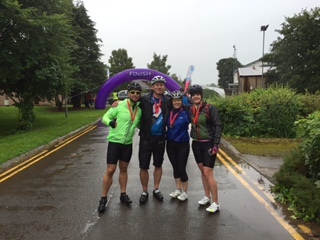 On 3rd September 2016 four members of the DSP Construction Management team, Scott Bryan, Kathryn Mitchell, Dan McLaughlin and Jane Green, took part in” Race The Sun – Lake District” charity challenge. The event, starting at sunrise and to be completed by sunset, consisted of 50 miles of cycling, hiking Helvellyn and a 3km canoe around lake Thirlmere. This was all carried it out in torrential rain, as you can see from the photo, with an unexpected swim in the lake for Kathryn and Dan! 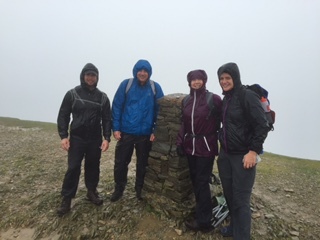 Despite the weather the team had a fantastic day and are looking forward to the next challenge. The team raised £4,150.00 for the charity involved: Action Medical Research For Children. We are extremely proud of our team of adventurers and the amount of money raised for charity.